Life360 Family Locator (Android/iPhone/iPad) - A family that tracks together, stays together ~ Android Forever! Developer Quote: "Family Locator by Life360 is the most accurate and powerful family locator service. 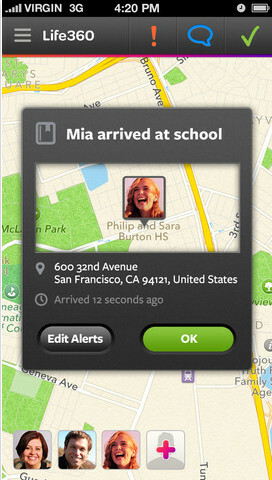 Using the latest GPS tracking technology, Life360 Family Locator lets you: a. See family location(s) on an invite-only map, b. Choose when to share your location, c. Chat one-on-one and with a group, d. Get alerts when family members reach favorite locations and e. Track a stolen or lost phone." Who can remember what life was like before GPS tracking? Living life not knowing where anyone was unless you called a landline and they picked up - then you knew they had to be there - but otherwise, no clue. Remember what it was like to worry? Why isn't my kid back home yet? Did something happen to my husband? Geez, what a mess. Thankfully, with this awesome app, our worries are just a bit fewer.